Girl is NOT a 4 Letter Word: The Women Were Ripping During The OG Jam At Venice Skatepark! 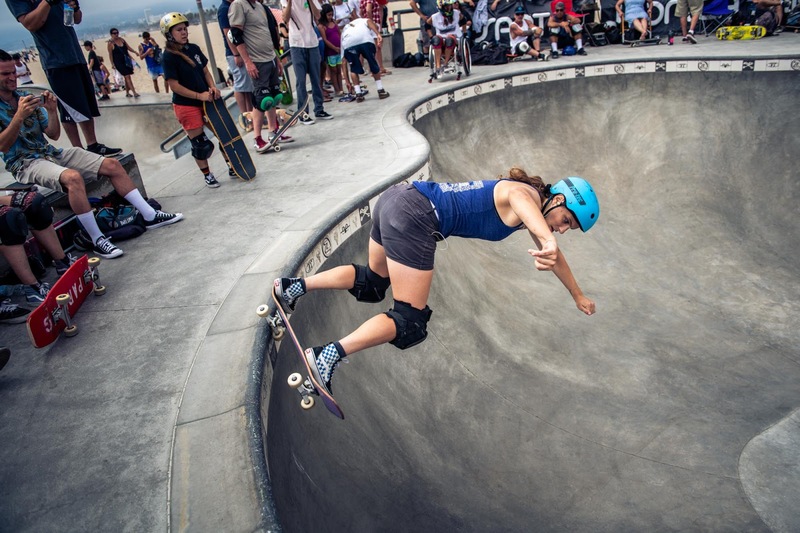 The Women Were Ripping During The OG Jam At Venice Skatepark! 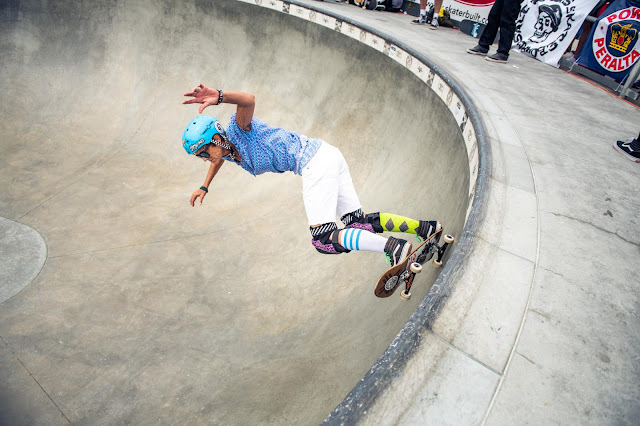 Tracie dropping in / aka "free falling"
The OG Jam women's division did not disappoint! 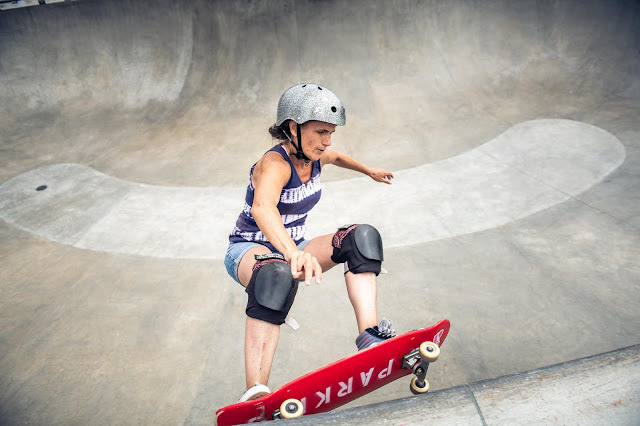 With a cool breeze blowing in off of the ocean, and a nice marine layer to keep things a bit cooler than it has been in Los Angeles, it was the perfect day to skate at Venice Skatepark. The ladies are coming out more and more to compete in the women's division of the OG Jam, and it was really nice to see the awesome friendships that have developed. 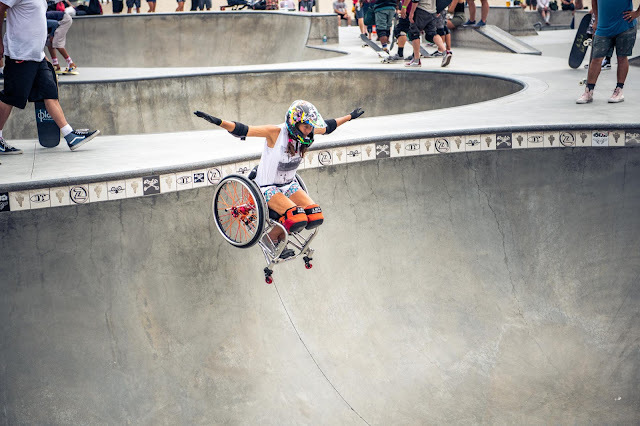 These gals we're attacking the pool and wowing the huge crowd that had come out to watch - WCMX rider, Tracie Garacochea, decided to drop into the deep end of the pool, which involves a "free fall" halfway down the wall and is not for the faint of heart, she pulled it off and people were screaming their heads off. Amy Bradshaw brought her smooth and stylish skating to each run and was amazing to watch. Jessie Frietze attacked that pool as if it was her own personal playground and her FS airs were a hit! Meredith Michael was grinding the coping right and left, and Julie Goforth was carving and smiling so much with every run it was the perfect reminder that skateboarding is always FUN, even when competing! Thanks to everyone at the OG Jam for putting on this rad series of events, big ups to the City of Los Angeles for having this one at Venice Skatepark, and thanks to Heidi Lemmon, the volunteers, the judges, announcers, support crew and sponsors who make this all happen at ecah and every event.